On February 17, we held the first workshop for our Youth4Youth programme at the Applecart Arts Centre which was a real success. We had students attend from a range of different colleges such as Havering Sixth Form college and Newtec. They were passionate, intelligent and very enthusiastic! 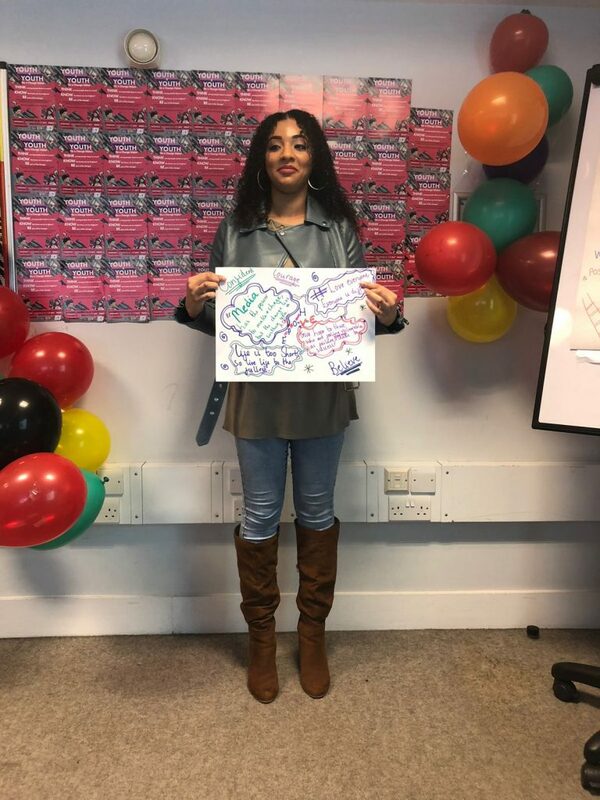 Yasmeen, our Youth4Youth project leader started the day off by doing some icebreakers to create a more relaxed environment. After this we began to have discussions about what it truly means to be a leader; the qualities that are sought after and the qualities we should avoid when taking up leadership positions. The young people mentioned that they would want to be a leader that is: understanding, just and compassionate. On the other hand, they would want to avoid being someone who is: discriminatory, unfair and harsh. 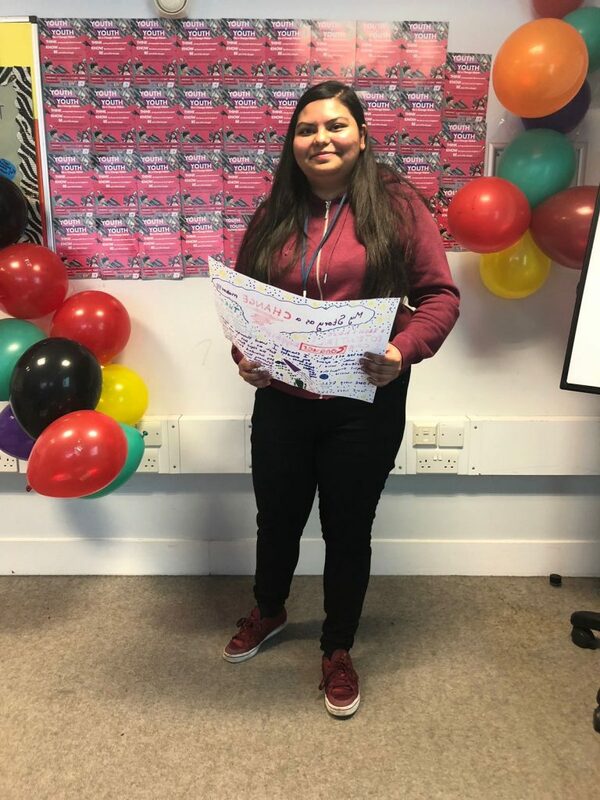 Each young person was given a journal in which they could write how they felt their sessions were going and help them keep track of their progress with the Youth4Youth programme. This first session was about giving young people a platform to speak about themselves and their identity. Many of our attendees said they joined the program because they wanted to learn how to communicate effectively with a range of different people, learn how to build relationships and essentially, be a more confident person. 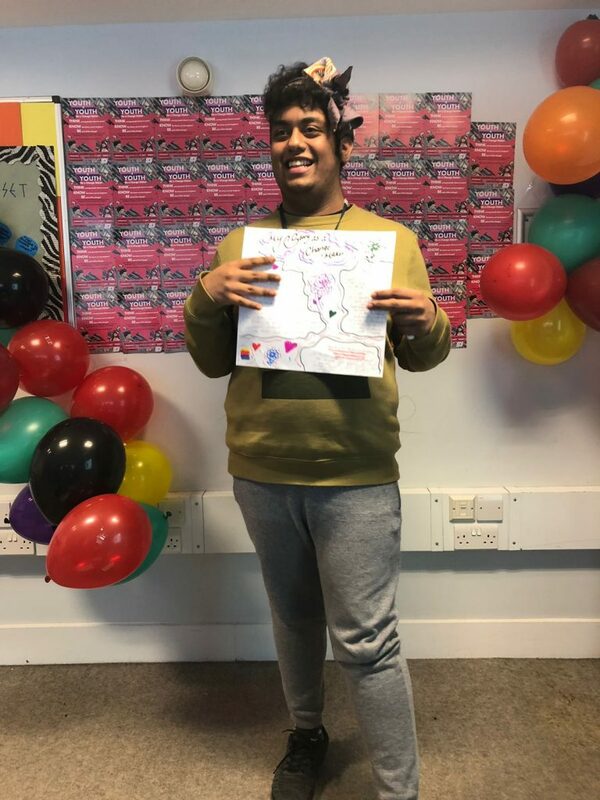 The young people were very excited about the upcoming sessions which will involve them learning more about themselves, their peers and their wider community.